Photo courtesy of Shree Saini. All Shree Saini wanted to do was dance. As a 7-year-old living in a small town near the border of Washington state and Canada, there was no dance studio to join. So she taught herself from DVDs. At 12, her family moved to a town big enough to offer three dance studios. She persuaded her mom to enroll her at all three. And that’s when the trouble started. First came the discovery of a heart problem, followed by surgery to fix it. Then came the teasing. The bullying. The shunning. It was enough to break anyone’s spirit. Except Shree loved dancing too much. 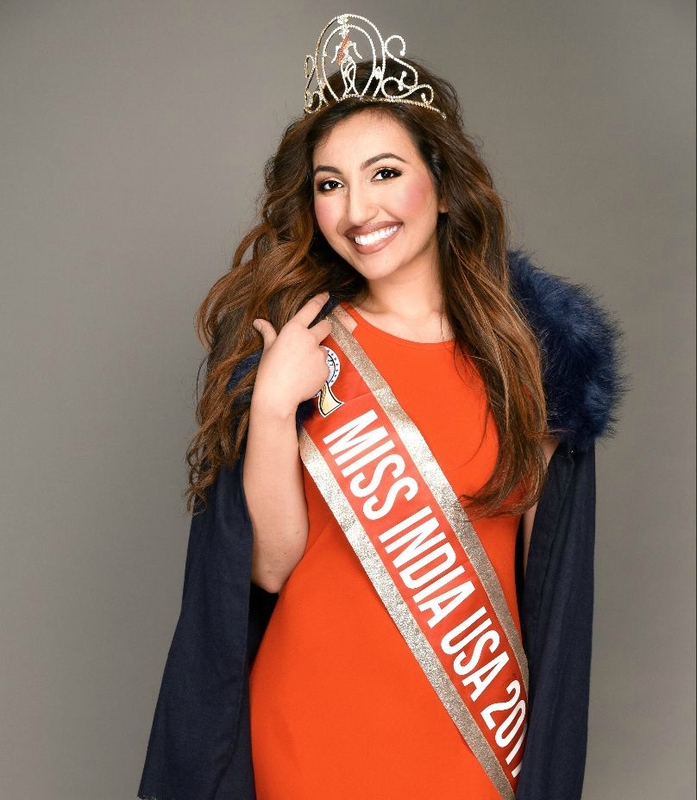 If anything, the physical challenges and social pressures fueled her – all the way to the Joffrey Ballet and beyond, including winning the title of Miss India USA. For this, the biggest performance of her life, Shree choreographed it around her life. It began with a heartbeat and shifted to a song featuring the hook: “You shoot me down, but I won’t fall. I am titanium.” It culminated with her receiving the crown and sash. A portion of Shree’s dance during the Miss India USA pageant. Since earning the title in December, Shree has used her platform to spread her story of perseverance, tolerance and heart health. The stakes go up this December when she competes for Miss India World. I’ll be rooting for her. Once you learn the rest of her tale, I’m sure you will be, too. In the early 2000s, Sanjay and Ekta Saini were living in Punjab, India, with two kids and several thriving businesses. Then Sanjay’s father died, and he decided to do something different. Very different. He moved the family to the United States. After starting on the East Coast, he wound up owning a gas station in Colville, Washington, a town of about 4,500 in the northeastern part of the state. Dancing was a solo pursuit for Shree. Through school, she joined team sports: softball, basketball and cross country. Running seemed like a great outlet for her boundless energy. Yet she finished last in every race. Her parents bought a treadmill and she ran five miles nearly every day. She still finished last. Shree Saini and her parents, Sanjay and Ekta. Photo courtesy of Shree Saini. The summer before Shree entered seventh grade, the Sainis bought a truck stop in Moses Lake, Washington, and moved there. With more than 20,000 people, it was a metropolis compared to Colville. Shree’s new hometown boasted a ballet academy and two other dance studios. Now she could take classes in jazz, ballet, hip-hop, clogging and more. All the studios required a physical exam. That’s how she learned her heart was beating only 20 times per minute. A normal heart rate for someone ages 6 to 15 is 70 to 100 beats per minute. “You need to have surgery – now!” said the doctor, astounded that the girl was so active with such a slow heart rate. Shree went home with a heart monitor. It showed that she sometimes went five seconds between heartbeats, long enough to cause many people to pass out. Now Shree understood why she couldn’t keep up in cross country. Her grandmother in India, however, couldn’t believe that this girl “so full of light and joy” could have a heart problem. Nobody on either side of the family had heart problems. At her grandma’s insistence, Shree went to India for tests from the country’s top cardiologists. They agreed with the folks in Moses Lake: Shree needed a pacemaker. On the day in June 2009 that her new peers performed a recital, Shree underwent a procedure to implant the device. She came away with a scar on her chest and her left arm in a cast. She wasn’t allowed to raise the arm for several weeks for fear of jarring the device and the leads threaded into her heart. Shree smiles as she recovers following her pacemaker implantation. Photo courtesy of Shree Saini. Because of this fragility, doctors encouraged Shree to give up dancing. Not a chance. Her parents didn’t bother trying to persuade her otherwise. “They knew I would find a way to dance again, with my pacemaker,” she said. Seventh grade is an emotional roller coaster for everyone. Shree went into it as the new girl with the scar and the cast and the different name and a heritage foreign to classmates in the town named after a Native American leader from the 1800s. Finally dancing with a heart that pumped at a normal rate, her talent blossomed. She advanced three levels in a single year. So now the outsider was threatening the established pecking order. Girls rolled their eyes at her. Sometimes they’d talk about Shree loud enough for her to hear them. “Sometimes they’d do it right in front of me!” she said. The social poison infected some instructors, she said. Fearing backlash from other parents, they refused to give her private lessons. Shree performs the Arabian Queen dance from Nutcracker. The better Shree became, the more vicious the bullying. For years, she left the studio crying. While the tears soaked the feelings of energy and freedom that dancing gave her, they couldn’t douse the flame. Those values were forged by her parents and bolstered by stories she read of people such as Nelson Mandela. Her former tormentors are now her fans. Via social media, she’s received their congratulations – and apologies. After high school, Shree took a gap year. That’s when she worked with the Joffrey Ballet. She also volunteered with a project fighting human trafficking in Nepal, studied acting at Yale, and took classes at Harvard and Stanford. She’s now a full-time student at the University of Washington. Along the way, she began entering pageants, climbing the ladder from Miss India Washington to the national title, beating 51 other contestants. In the first six months of her reign, she participated in more than 50 events across 10 states and four countries. Her Facebook feed is filled with pictures of her alongside Miss World, Miss USA, televangelist Joel Osteen, Washington Gov. Jay Inslee, Bill Gates’ mom and more. Now she’s sharing her story on behalf of my organization, the American Heart Association. It’s a hectic pace for anyone, much less someone who’s overcome a congenital heart defect. Shree sees a cardiologist regularly and knows she may need new batteries in her pacemaker in the next year or two. Catalan: A Culture in Dispute.